The 21st century is moving at the speed of light. The marketplace is becoming increasingly diversified, as consumers face more choices and options than ever before. Many brands are struggling to keep up with their competitors, and wind up jumping into a rat race to the bottom where the only noticeable brand differentiator is price. And many of advertising's most time-honored tactical methods are losing their punch, impact, and power to influence minds in a real way. Two young couple talking outdoor on the street at sunset. That's a bold premise packed in the title of this piece. Yet in the midst of all of this craze and haze of mass communication and mass media, there is one marketing approach which is, in fact, getting ever stronger and more sophisticated in its capacity to stimulate people to action. That approach - which I argue is the most effective marketing channel in 2017 - is experiential marketing. And by "experiential marketing," I mean marketing campaigns that begin with live, interactive brand experiences. To a large degree, experiential marketing has sneaked up on the broader community of marketers and professional advertisers. The fact that experiential marketing's effectiveness is still partially unknown in many marketing circles does not change the fact that it creates more brand advocates than any other methods, that when used as the core component of a company's marketing it creates more response than other approaches, that its long-term ROI is greater than that of traditional advertising channels. The people doing and breathing and executing effective experiential campaigns understand their position clearly and categorically. They have studied the other advertising methods - the orthodox mix of marketing platforms, media, and metrics. They know the limits these traditional approaches struggle to surpass in 2017. And they know that experiential marketing outpaces them all, and by far. The conventional approaches to advertising are waning in their effectiveness when they are used as the core, foundational method upon which a company's marketing is based. There are several reasons behind this declining impact. "Mass customization and flexible manufacturing subsume the concept of mass production and mass advertising," wrote two marketing professors in 1994 in the ominously-titled paper "The Death of Advertising." That was 23 years ago. And customization and robotics-powered flexible manufacturing have only grown in scope and reach, which strongly implies that mass advertising - as reflected in TV ads, direct mail, and other media that relies heavily on one-way communication with a brand and its audience - is becoming increasingly irrelevant. Instead, experiential marketing - which is two-way dialogue with a brand and its audience through interactive, live brand experiences - is becoming the most potent marketing avenue for companies large and small. So if traditional approaches to advertising are becoming more irrelevant and redundant when used in the absence of experiential, why is experiential marketing becoming more and more powerful? Precisely because experiential marketing is interactive, which means its effectiveness cannot be drowned out by mass media and fragmented information. 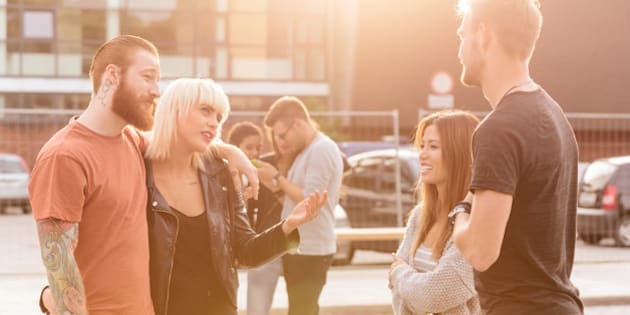 Experiential marketing is two-way communication between a brand and its audience, which is what successful marketing in the 21st century requires: a dialogue, instead of a screaming match between rival brands. At this point, much of the public's eardrums have had enough of the screaming matches, metaphorical or otherwise. Consider these facts in support of experiential marketing. People who undergo a live brand experience are likely to tell around 17 other people about that positive experience (from: Experiential Marketing: A practical guide to interactive brand experiences, S. Smilansky, 2009). And that is something that champions of traditional methods don't tell you: that experiential campaigns, while directly involving interactions with only a few hundred, thousand, or tens of thousands of people, reach tremendously more people than that over the long-run through word-of-mouth marketing. In fact, each of those 17 people are likely to tell about 1.5 other people, which means that if 1 person experiences a live brand experiential campaign, a little more than 25 other people will hear about it directly through word-of-mouth. And word-of-mouth is one of the most powerful advertising mediums out there because people trust people they know vs. some ad they saw on TV, the internet, or heard on the radio. That's why experiential marketing campaigns have proven themselves effective at delivering a greater long-term ROI when used as the core part of the marketing mix, as opposed to other methods. Now, let me be emphatic and clear about this: I'm not saying that marketing professionals should literally forget other advertising methods and ditch everything they've ever learned. No, far from it. What I am saying is this: experiential marketing is the most effective core marketing approach in 2017. In other words, when planning your marketing budget, experiential campaigns should be a core, foundational part of that discussion (instead of simply "borrowing" from other budgets to run small, tactical experiential campaigns). And when planning marketing campaigns - whether TV or radio or internet - they should be built upon the experiential marketing foundation, amplifying and multiplying the effectiveness of the experiential approach. So, quite frankly, your marketing planning should begin with experiential. Not TV. Not radio. Not internet. Not direct mail. The fact is that traditional advertising approaches, standing by themselves, often lack the capacity to profoundly differentiate one brand from another through a means other than price. So businesses begin competing on price, driving down profit margins - and the point of advertising in 2017 really should be more than just a price war. How can experiential marketing be a key differentiator in a crowded, noisy, gaudy marketplace? Experiential marketing literally brings a brand - its personality, values, character, attitude - to life. A target audience gets to experience the brand voluntarily, in a positive environment, instead of getting bombarded by ceaseless ads. In this way, brands can stand out by virtue of their own personality and attitude - reaching out to the people who identify with the unique character, story, and values of the brand. And that's why the future of marketing, in this decade and beyond, is interactive and integrated - and thoroughly experiential. Photo courtesy of experiential marketing agency Femme Fatale Media.